I was on the radio yesterday – it was all very exciting. I was actually so excited that I thought I might have a heart attack, but luckily I didn’t. That would have made for a terrific show though, wouldn’t it? 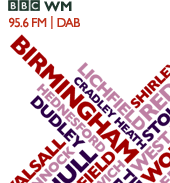 ‘Model Cardiac Arrest – Live on BBC West Midlands’! I was on Joanne Malin’s show at 9.30 to talk about a campaign that I am heading up in Birmingham for the Pavilions; a shopping area with lovely stores such as Hobbs, LK Bennett and l’Occitane… And also about this site, ‘A Model Recommends…’! You can listen to the show on iPlayer, and the link is below. So, whether you are peeling spuds, watering the lawn or working late at the office, stick this on in the background and listen to me getting a grilling! Next Post My First Article!